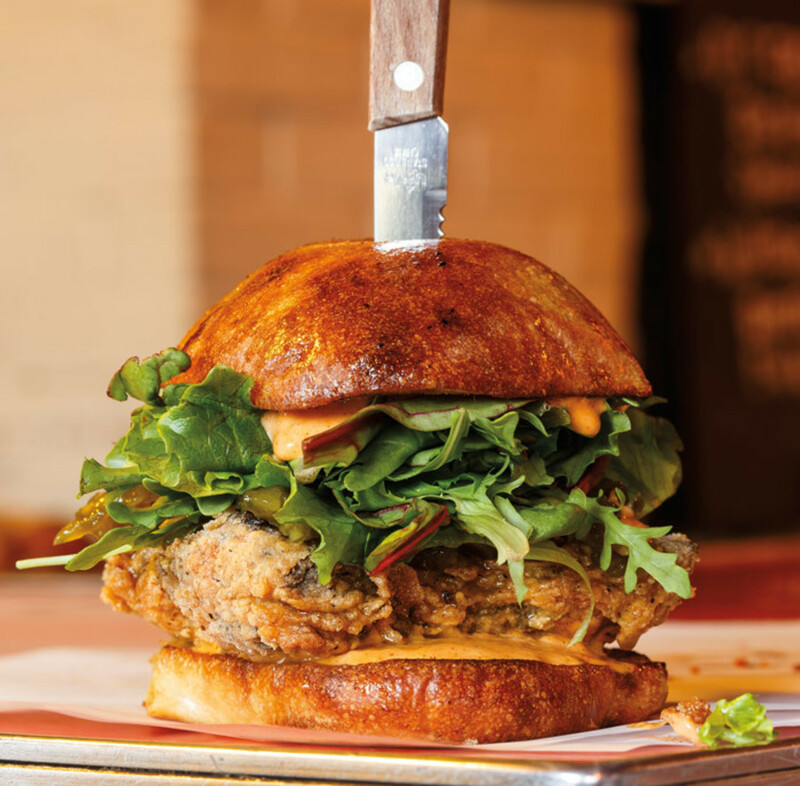 The People's Pig fried chicken sandwich. 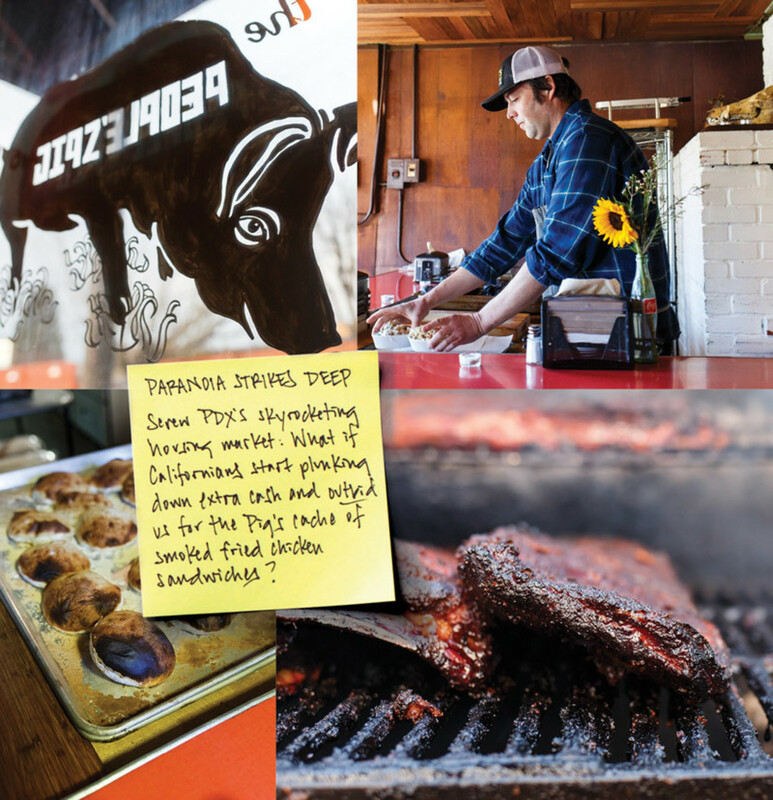 Cliff Allen rules his barbecue kingdom. Unlike most pit bosses, Allen espouses no barbecue dogma and possesses no self-branding gene. His muses? Italian street food, smoky fires, and pigs, pigs, pigs. 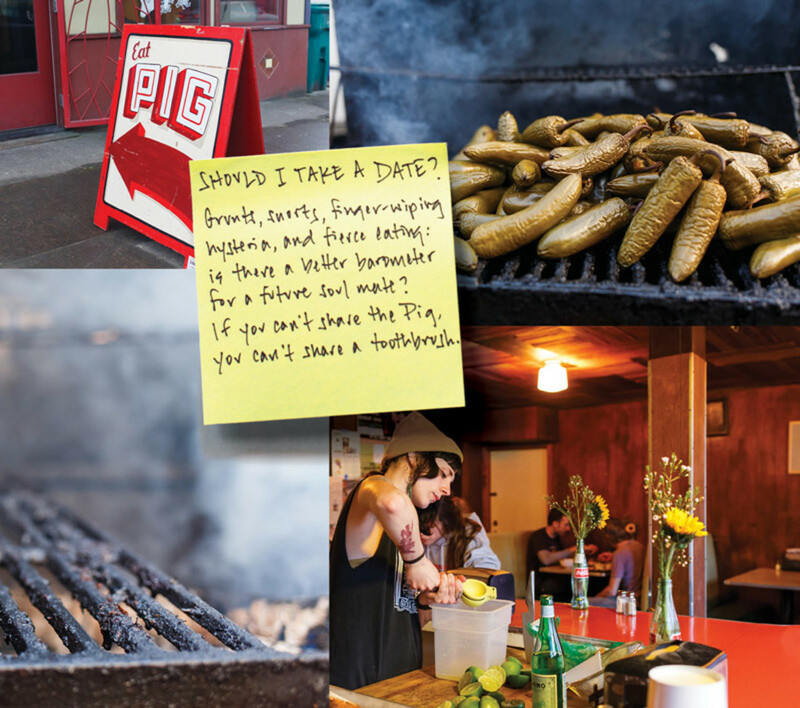 He cuts and pastes his influences into a barbecue kingdom cobbled together from a convection oven, one small fryer, and three outdoor smokers that look like ancient iron lungs. 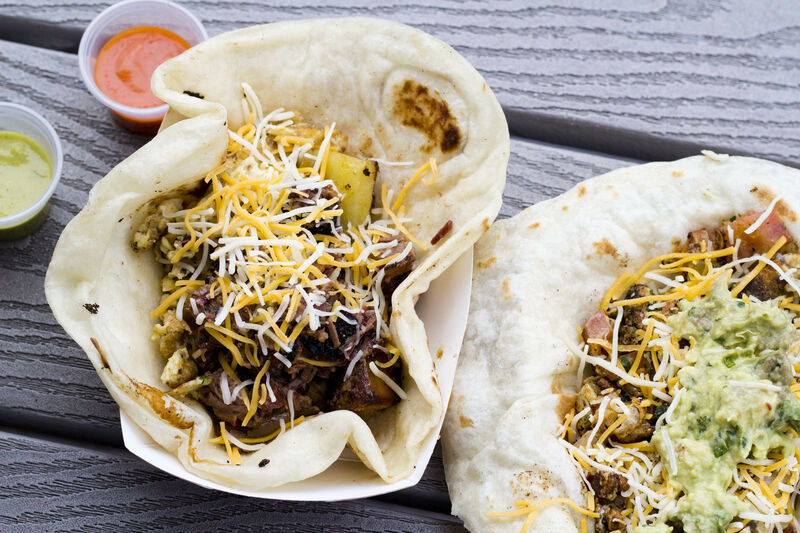 Giant slices of smoked pork shoulder and lamb summon Austin, Texas—little more than meltingly tender flesh, fatty halos, and sumptuous curls of oak-wood smoke rising from paper-lined trays. 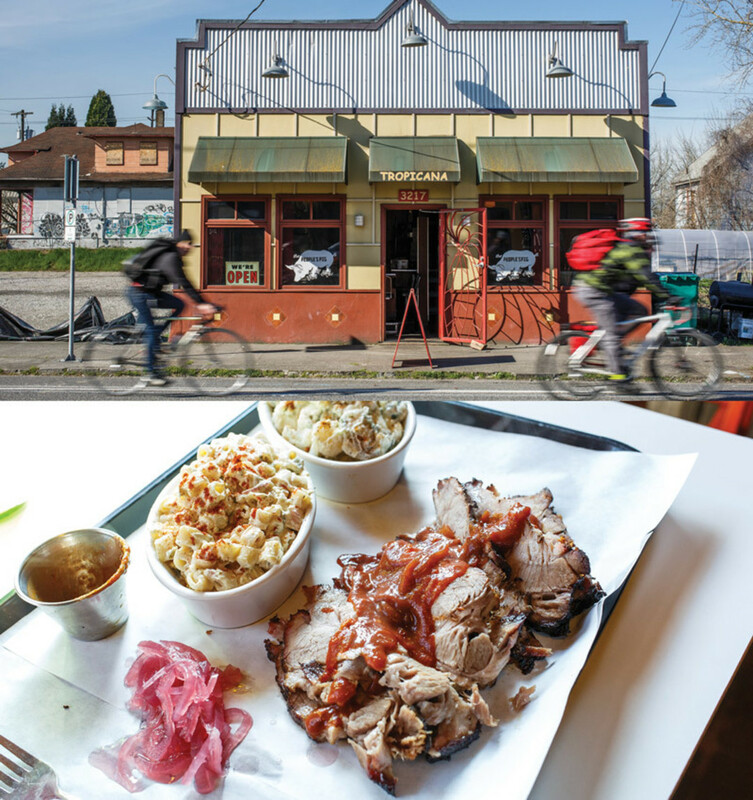 Juicy baby backs, upholstered in sticky, crackly bark as black as crude oil, vie for Portland’s barbecue crown. 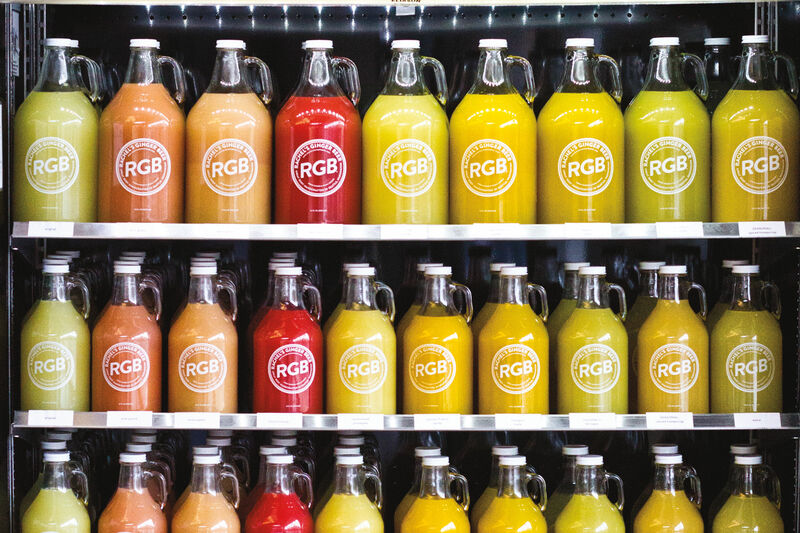 Sauces, served on the side, might conjure Kansas City (tomato thick, a little sweet, unremarkable) or Portland Weird (chile-jam heat, candied tomato skins, awesome). Sides mostly whisper “afterthought,” including some very soggy slaw. But the corn bread glows, each crusty dreamboat of panfried masa cast-iron-baked and honey-drizzled. And the golden jo-jos pretty much humiliate every fry in town. The Pig’s time-warped décor honors its roots. There’s the Tropicana’s worn-red counter fronting high-back swivel seats scaled for grade-schoolers, a few lumpy-cozy booths, and a wood-strip ceiling glued in weird patterns. Allen added candles, a wild pig skull, and a piece of art he calls “a needle and thread thing.” But the most fascinating detail stands in the corner, whacking a hunk of smoked pork into submission like Bill the Butcher in Gangs of New York. Chef Morgan Brownlow is in the house every lunch shift, turning swine into pearls. Who is Morgan Brownlow? 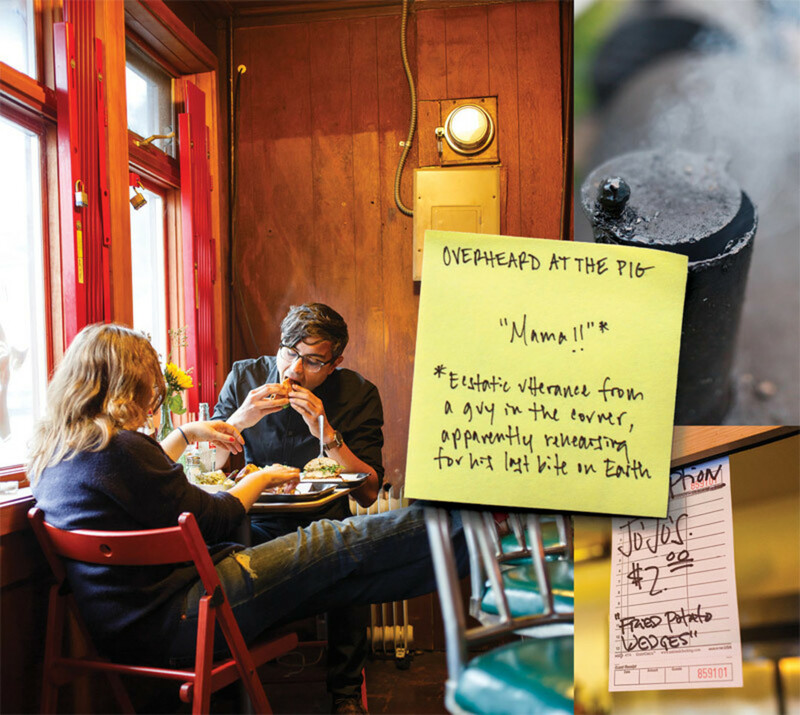 Long before Portland embraced meat as a religion, he was the city’s chef-god, wheeling gargantuan pigs through Clarklewis’s dining room circa 2003, startling customers used to shrink-wrapped supermarket chops. 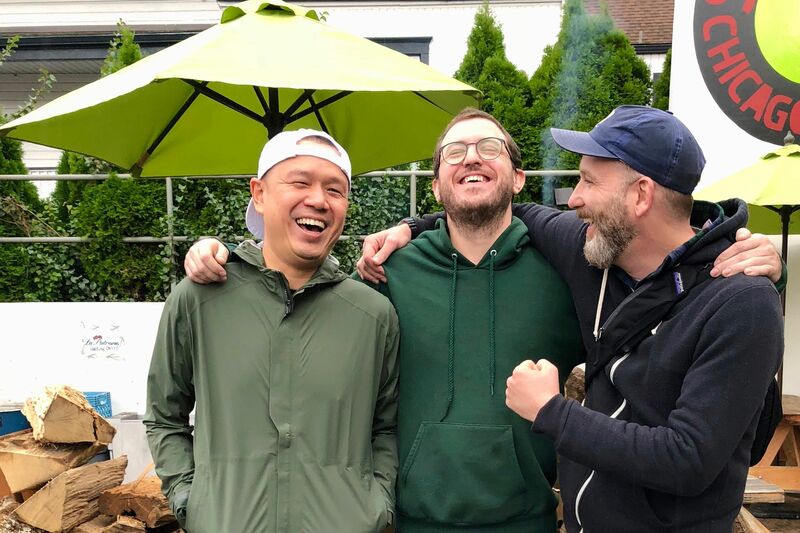 Over the course of 12 years, the precocious prince of the pig has gone from Morgan the Immortal (a star in the infamous Ripe supper club) to Morgan the Vanisher (briefly, Tails & Trotters cofounder) to Morgan the Hothead (shifts as a dinner cook at Tasty & Alder: just one). And now: Morgan the Secret Lunch Weapon. Will he still be there when this review prints? Who knows? But right now, Allen and Brownlow throw one hell of a two-pork punch. For Pig runs, I now wear clothes that can go straight in the washing machine. Thanks to Allen’s desire to infuse every inch of food with smoke, we’re all going to reek like a chimney—that’s just the price of admission. Perhaps it’s also the last great equalizer in a neighborhood growing taller and richer by the second. Come summer, outdoor seats will bring most everyone to the table (sorry, vegans! ), as clouds of smoke roll over the neighboring New Seasons like a weapon of mass distraction. 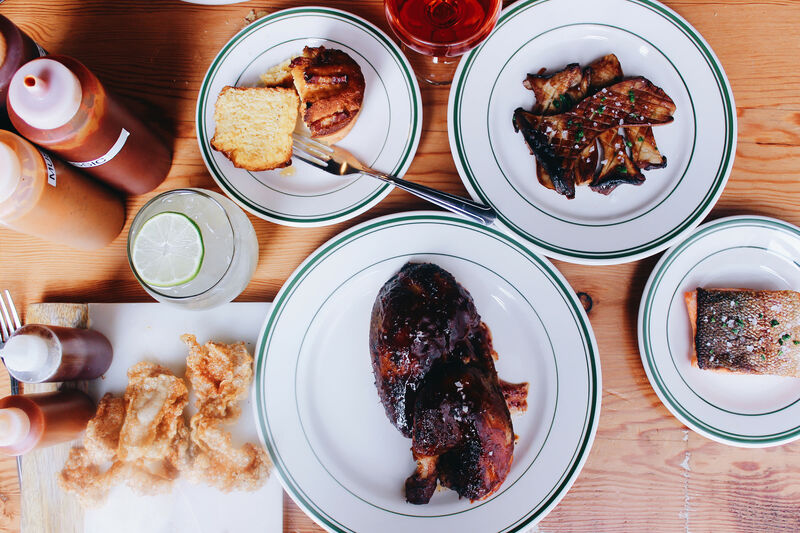 It’s a perfect vision of Portland: the rich and the poor, old guard and new, all eating side by side and smelling like hog heaven.